A quick and easy all-time family favorite that tastes so good your family will be asking for seconds! Cook pasta shells as directed on package to al dente, drain, rinse with cool water (to prevent sticking). Mix ricotta, eggs, Parmesan, parsley, basil, garlic, mint and pepper in a bowl until smooth. Pour 1/2 jar of sauce in 9″x13″ inch baking pan to coat bottom. Using a spoon or pastry bag, fill cooked shells with cheese mixture. Place the filled shells, cover with remaining sauce and top with shredded mozzarella cheese. Cover pan with foil and place in oven to bake for 45 minutes. 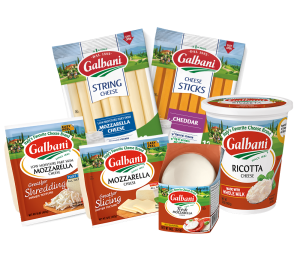 Serve with some slices of toasted Italian bread on the side to add a little extra crunch. Save some for Later! 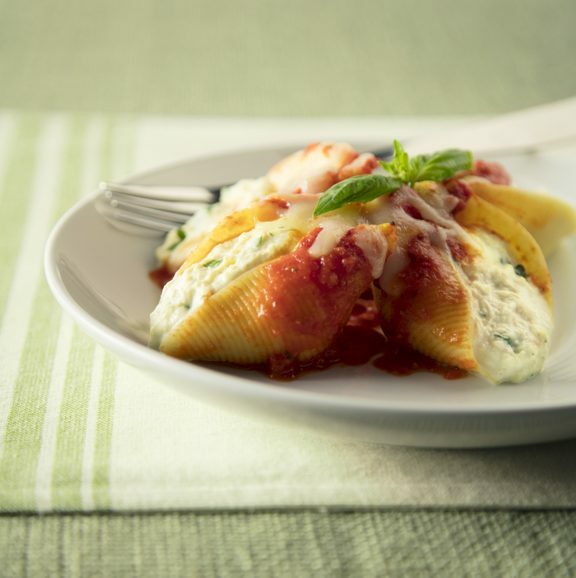 Stuffed shells are the perfect dish to make and freeze for a delicious meal at any time.